Simple warmup exercises might be enough to prevent one of the most common serious knee injuries suffered by youth athletes, especially females. A study published in The American Journal of Sports Medicine concluded that neuromuscular control exercise programs appear to reduce the risk of anterior cruciate ligament (ACL) injuries in female college soccer players. More than 1,400 athletes from 61 National Collegiate Athletic Association Division I women’s soccer teams participated in the study, and were divided into 2 groups. The overall ACL injury rate was 1.7 times less, and the noncontact ACL injury rate was 3.3 times less, in the athletes who performed specific intervention exercises 3 times a week during their fall season than in their peers who did not. The beneficial neuromuscular warmup exercise programs included stretching, strengthening, plyometrics, and agilities to address potential deficits in the strength and coordination of the stabilizing muscles around the knee joint. 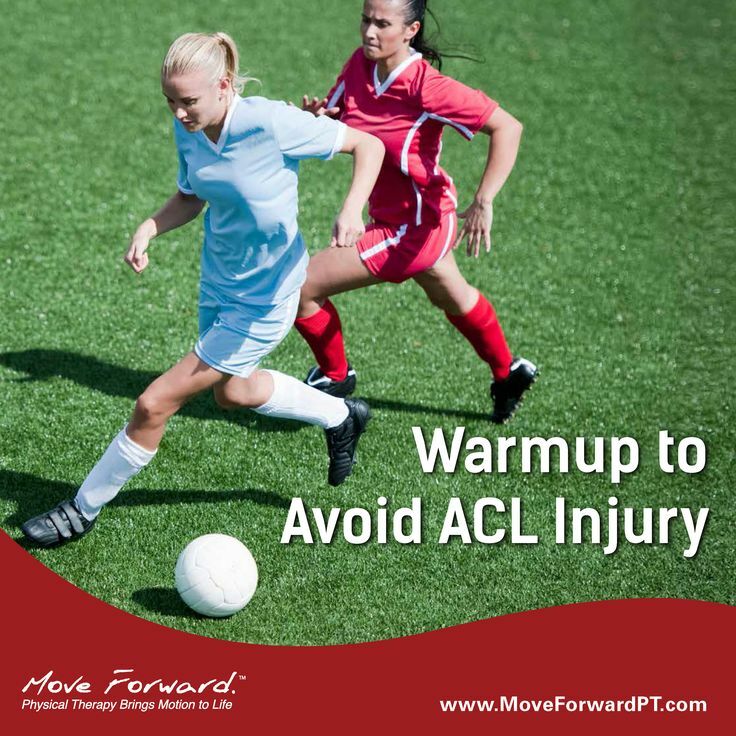 In a May 22, 2014, episode of Move Forward Radio, a physical therapist discussed specific exercise programs to reduce the risk of ACL injuries. Learn more about physical therapist treatment of ACL injuries. Other Did You Know pages.